To consistently make money in the stock market, you only want trade stocks that are trending! But what are the characteristics that make up a trend? I thought you would never ask. Remember when we talked about stock market stages? Well Stage 2 is an uptrend that is characterized by a series of higher highs (HH) and higher lows (HL). 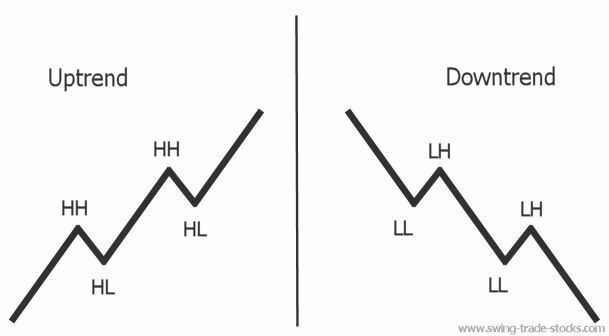 Stage 4 is a downtrend that is characterized by a series of lower highs (LH) and lower lows (LL). This creates a series of peaks and troughs on the chart that you can trade quite successfully. Yeah, trading ranges can get that sloppy! There is absolutely no reason to trade stocks that are chopping around like that when you can trade stocks that are in the trending phases. Trying to trade stocks in trading ranges (stage 1 and stage 3) is a great way to chew up your trading capital. Stick with trends! Which one would you rather trade? I know all of this may seem pretty basic but I can't tell you how many times I've been in a stock trading forum and Joe Trader says, "I bought XYZ stock yesterday at $32.57". 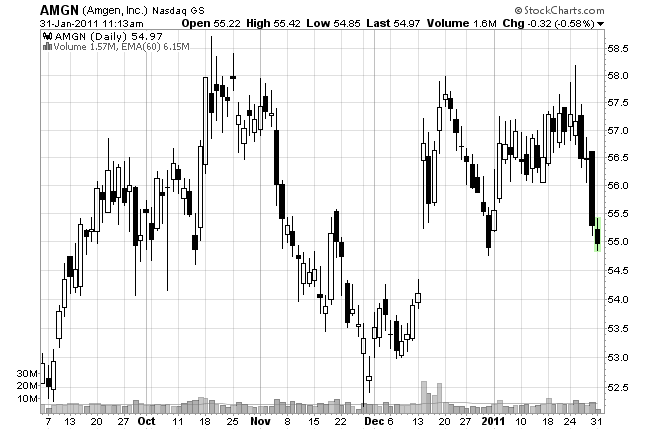 So I go and look at the chart and the stock is in a steep downtrend! Or someone says that they shorted a stock at $52.03. 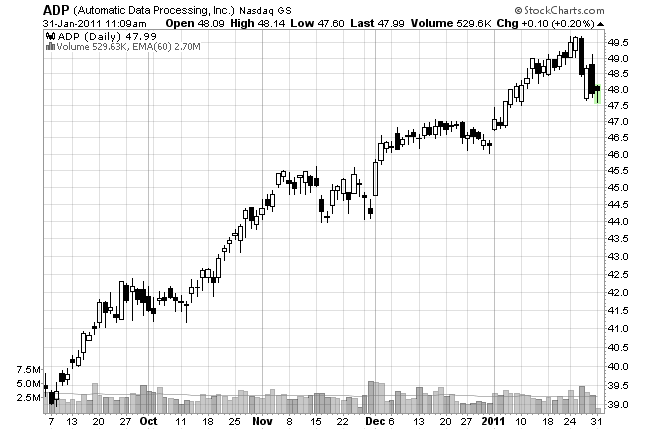 So of course I look at the chart and the stock is in a parabolic uptrend! It just doesn't make sense to trade that way. If you look at any stock on a chart that is in a strong uptrend, you will find that the pullbacks are short lived. This gives you a excellent opportunity to buy the stock before it resumes the uptrend. Same thing with stocks in down trends. The rallies are short lived which gives you an excellent opportunity to short them.